Repairing shower drain is something homeowners have been doing for years, with the right knowledge and tips it can be a trivial task but there are certain conditions that will require the drain repair services of a professional plumber. For instance, drain pipes can burst, crack, and become old and worn. Also, often homeowners will choose to upgrade old drain pipes with more modern and safe pipes. Clogs can also develop I the drain lines as a result of material such as grease, hair, soap accumulating in the pipe. Also, some homeowners will put the wrong items down the drain resulting in problems such as damage to the pipes and clogs. These items can include Hair, organic waste, soap residue, oil, grease, food residue, paper waste among others. For such situations where the homeowner is unable to remove a clog, or there are obvious signs of serious problems, a plumber will offer drain pipe repair services. It is possible to repair shower drain yourself; this article will highlight the procedure and the common mistake to avoid when repairing shower drain. The ways to clear a shower drain are not complex you just need to know how to handle the situation. Learning how to make this happen isn’t something to be concerned about even when it is overwhelming at first. You’ll get it done as long as you can then the process and the tips of accomplishing this. Make sure that you begin the project using the proper tools as well as a good working knowledge of how you can clear a clog. 1. Avoid starting the job without all the needed tools. 2. Guessing the pipe size and not using the right tape. 3. Using piping materials that do not much. 4. Attempting to do things you don’t know. 5. Using too much drain cleaner. 6. Forgetting to turn off the water. Which tools do you need to effectively repair shower drain? This snake is used specifically for sink drains such as kitchen and shower drains. This tape is used to make joint connections more tight and secure. A plunger is a common plumbing tool that is used to remove clogged sinks. This electronic device is used to trace path & determine depth wires & metallic pipe without deactivate system. A plumber’s wrench is a durable and heavy duty wrench. 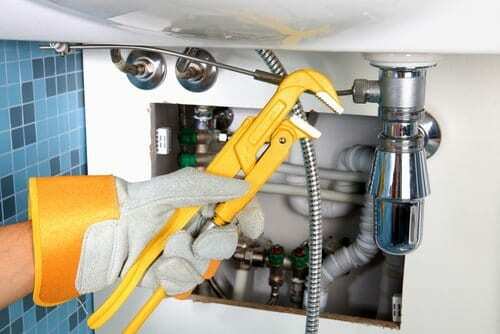 Take a hacksaw and cut the part of the drain pipe that is leak or damage. In addition to this, you need to cut the pipe further to remove this entire part of the pipe. Take the drain away by cutting the silicone putty holding the drain with a utility knife. Now open the drain cover by unfastening the screws with the help of a screwdriver. After removing the cover, take a basket wrench and take the drain away by turning the wrench anti-clockwise. Insert the new drain into the specific place. Secure the new drain with plumber’s putty. Connect the end of the existing pipe with the end of the newly installed pipe. To connect the old and the new pipes you need to have a slip coupling of exactly the same size of pipes. To secure the coupling, add glue on its both sides and put pipes into it. Use the right drain chemical solution. You may have to utilize a high-quality chemical cleaner to get rid of any debris that may be refusing to clear once you unclog the drain manually. Fortunately, there are lots of options to choose from including baking soda drain cleaners, natural drain cleaners, acidic drain cleaners and more. The potency of the cleaner that you will require depends on the strength and durability of the clog. To make your job much easier to complete, you may want to utilize one of the numerous tools designed for plumbers. You can try to make a tool at home with a wire hanger. This is often all that you will need. Professional options include drain cleaners, plumbing snakes, and plungers. These represent the classic tools you will notice plumbers use. You will be able to select which tool is suitable once you’ve determined a method for clearing your clogged shower drain. It’s imperative that you learn to clear the drain before purchasing or using any plumbing equipment. Prevention is the best way to fix a clogged shower drain. Using preventative measures to keep your shower drain clear is a good method for saving yourself from a big headache. 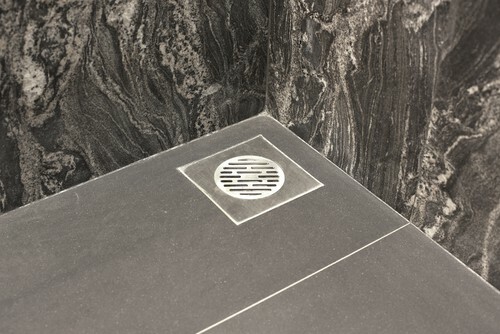 Only use a drain trap that is manufactured from good quality materials. Clear the shower floor from any hair, soap, or other debris at the end of every shower. Don’t leave any items on the shower floor when it’s not in use. Understanding little things like this can keep your drain clog-free for a long time. Symptoms that may require a plumber include a clog you cannot clear, water that is slow-to-empty it, garbage- disposals don’t eliminate-effectively, & problem with normal toilet-flushing. Have you tried a drain cleaning method or the problem seems more serious, a plumber can perform the following services. If you have frequent problems with clogged drains, it may require video inspection. A plumber can perform a complete video inspection of your plumbing system. It will help visually identify the location of the problem and the type of problem. Video inspection is an important tool in both identifying and repairing the problem correctly. Video camera inspection shows the precise cause problem whether it is a root intrusion or cracked, crushed, or misaligned pipes. Most shower clogs are fairly easy to fix as these clogs are usually the result of hair and soap scum accumulating. If you are unable to clear a clogged shower drain, you should call a professional plumber. Plumbers have the tools and products to effectively clear a clogged shower drain. If you have damp walls or floors around your laundry room sink or toilet, you may have a leaky pipe or pipe fitting. A plumber can locate the source of the leak and make the appropriate repair before pipe bursts and floods the home. Leaks can occur anywhere in the plumbing system such as in the kitchen, bathroom, and laundry room. Video camera inspections have also been used to find lost items such as jewellery that have been accidentally flushed down the toilet or drain. 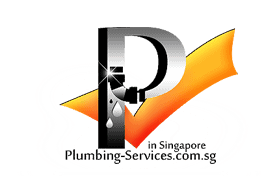 A plumber can provide a professional drain cleaning service. A professional plumber can diagnose serious issues sand makes the appropriate repair and then provide a thorough cleaning of the drain lines. They have specialized equipment that will clean deep in the drain. Sometimes a video inspection device is used to see the damage or blockage so the problem can be identified and fixed. It is vital to keep the drains and drain lines in good condition to keep the entire plumbing system working properly. Using the drain repair services offered by a plumber is a key part of keeping the drains clean, undamaged, and in proper working condition.